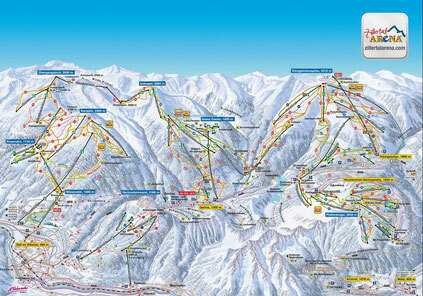 Discover and explore the Zillertal ski are with our interactive Panorama. 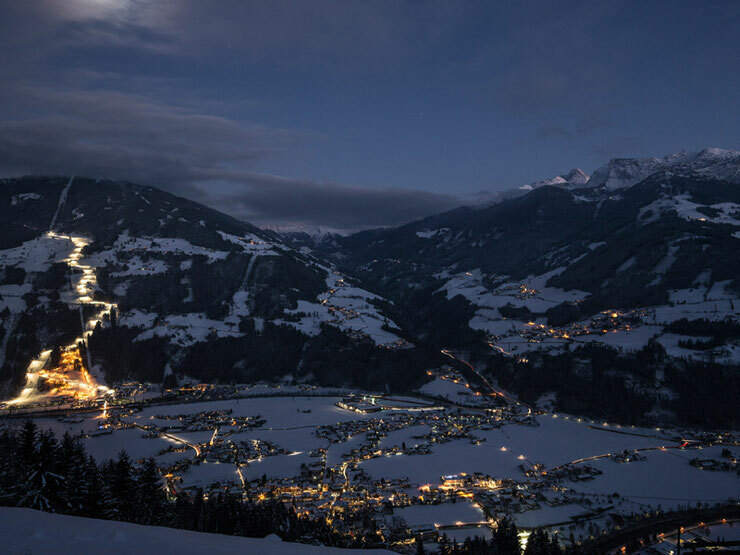 The skiing area “Zillertal Arena” is the largest skiing area of the Zillertal and extends from the village Zell im Zillertal via Gerlos to Wald-Königsleiten and Krimml-Hochkrimml. 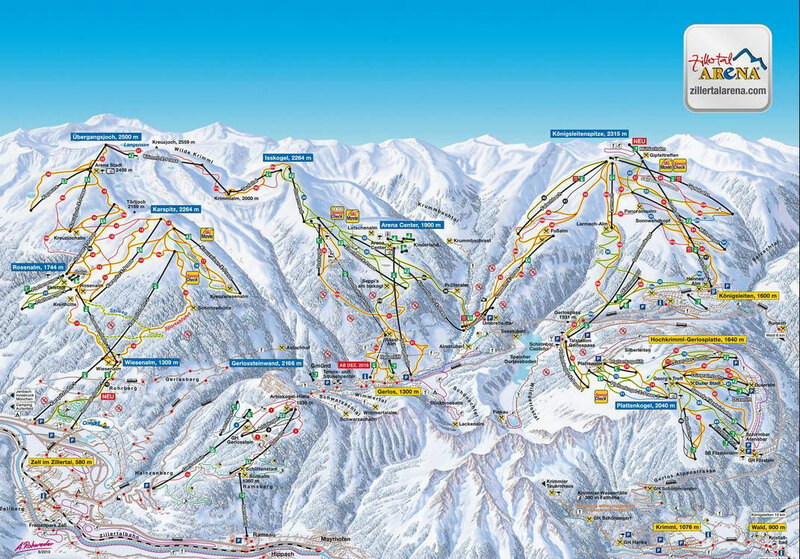 The area offers 139 kilometres of slopes and 51 lifts, where skiers and snowboarders will find a varied offer for beginners and pros. 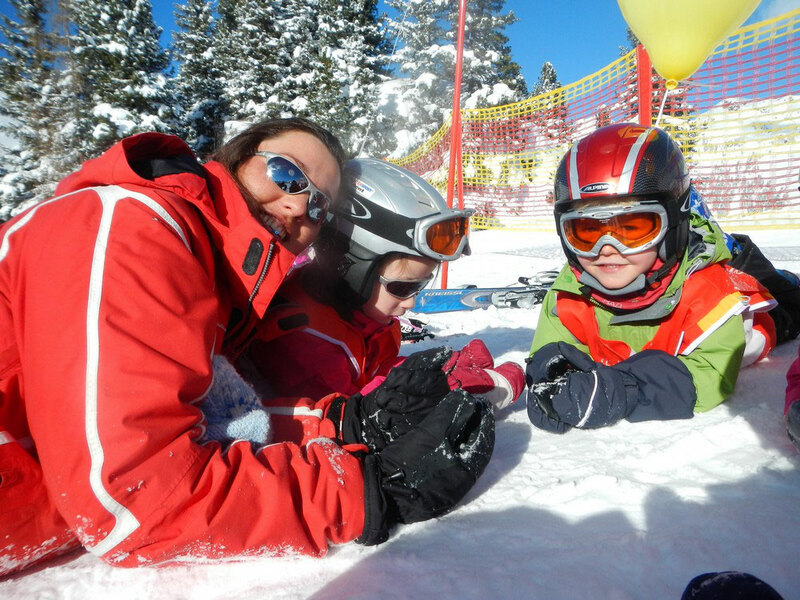 Skiing to an elevation of 2,500 metres and almost absolute guarantee of snow ensure a perfect winter holiday for the whole family. 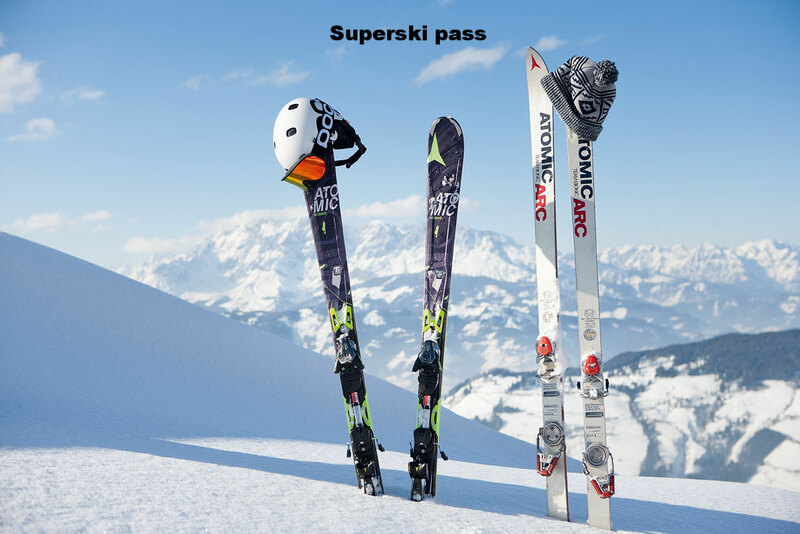 The highly qualified instructors of the ski schools in Zell am Ziller teach you the basic technique or help you to perfect your carve turns. Take a new challenge and learn how to ski or snowboard off the slopes. The three ski schools in Zell will help you with words and deeds and adjust the program to your personal needs. 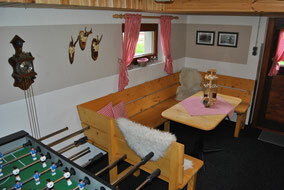 They offer lessons for adults and children. 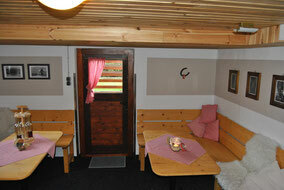 Our cosy room, the "Stube"
In our basement we have a little cosy room for our guests. 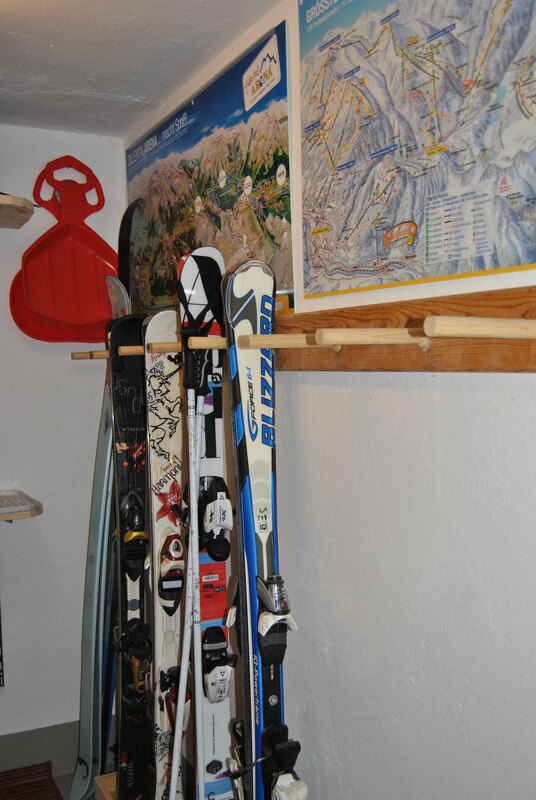 When you return from skiing you can use the skiboot dryers. 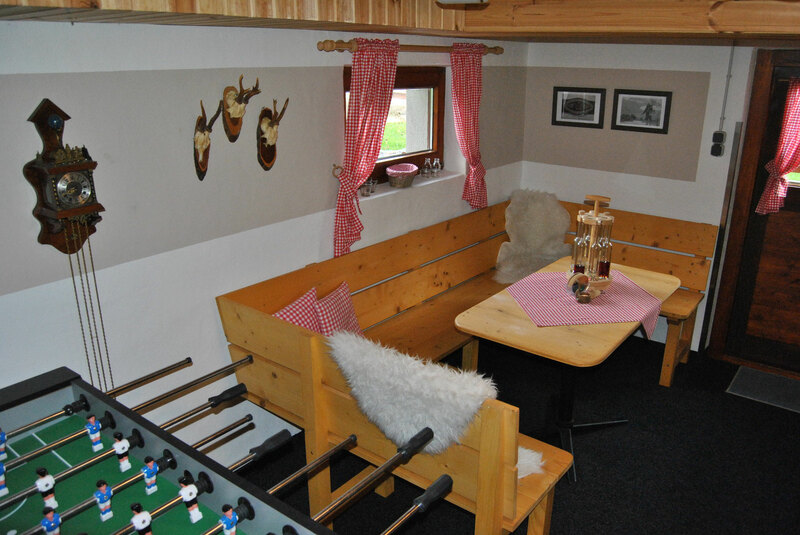 In the evening you can use the room for a game of cards and for the children there is a table football, a shuffleboard and more games for some extra fun.